There’s a lot to be excited about this summer in Saratoga. Between making bets at the Saratoga Race Course, patio dining at one of Saratoga’s many restaurants, exploring beautiful parks & mineral springs, and more—your time will be well spent in New York’s Spa City. Some of our favorite things about the summer here are the countless concerts and live acts gracing the many stages, venues and restaurants of Saratoga, NY. 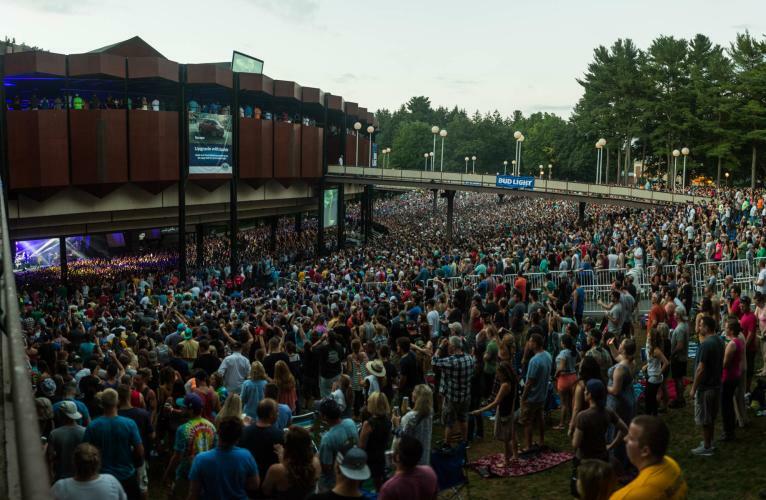 In 2015, Saratoga Performing Arts Center (SPAC) was named best outdoor music venue by USA Today’s 10Best Readers’ Choice. 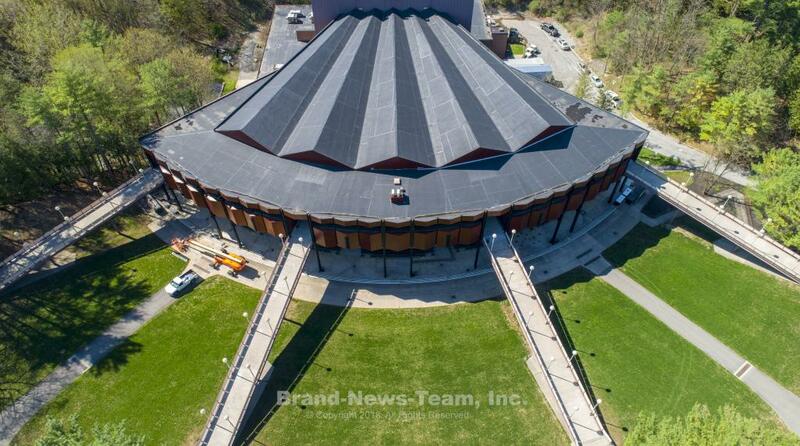 The accolade is no surprise to those who’ve been to SPAC for a show or event. The venue itself is situated within the scenic Saratoga Spa State Park, offering a unique setting to any live music experience. Some of SPAC’s biggest shows include The Who, The Grateful Dead, The Police, Coldplay and more. We, of course, can’t talk about SPAC concerts without mentioning Dave Matthews Band, who performs each summer for a loyal fanbase. In fact, I’ve even seen some of my all-time favorite bands perform on the iconic SPAC stage. I’m looking at you, Tom Petty. If you’re a music junkie like me, you’ve already got your tickets purchased and concert plans set. If not, don’t worry! There’s plenty of live music to choose from no matter what your music taste is. If you’re a fan of alternative, classic rock, hip hop and country, the list of Live Nation Concerts at SPAC will have you ready for the 2018 season. It was noted this summer’s lineup is the biggest in Live Nation history. 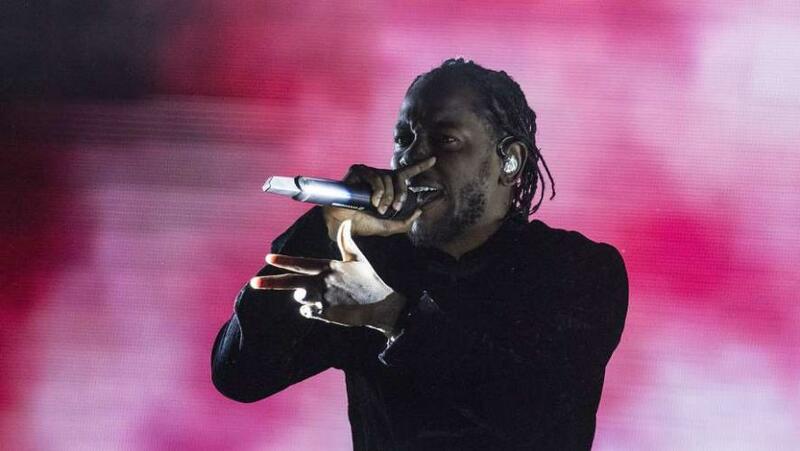 If you aren’t already sold, maybe some of these acts will build the excitement: Kendrick Lamar (who recently won the Pulitzer Prize for his album DAMN. ), Keith Urban, Imagine Dragons, Rascal Flatts, Halsey, Dave Matthews Band, Janet Jackson, Luke Bryan, REO Speedwagon, and many more. Four distinct programs by New York City Ballet including an all-Balanchine evening, a program featuring SPAC Premieres by 21st century choreographers including Justin Peck and Lauren Lovette; timeless story ballet Romeo & Juliet, and a celebration of centennials of both Jerome Robbins and Leonard Bernstein. Get a special sneak peek of the New York City Ballet at SPAC’s largest fundraiser, The 2018 New York City Ballet Gala: The Four Seasons, which helps support the group’s residency. In case you missed it. Last year SPAC launched a ballet video series with New York City Ballet dancers. The videos were shot throughout Saratoga Springs and released every morning leading up to their opening night. Rumor has it, the dancers will do a similar video campaign this year. But that’s not all. National Ballet of Cuba will make its first appearance at SPAC as one of just four U.S. locations on its tour. Known for its exuberant flair and historically informed and uniquely Cuban style, National Ballet of Cuba will perform three performance of Alicia Alonso’s classic Giselle on June 6, 7 and 8. If Irish step dance is more your thing, you won’t want to miss Trinity Irish Dance Company’s first-ever SPAC appearance on July 30. 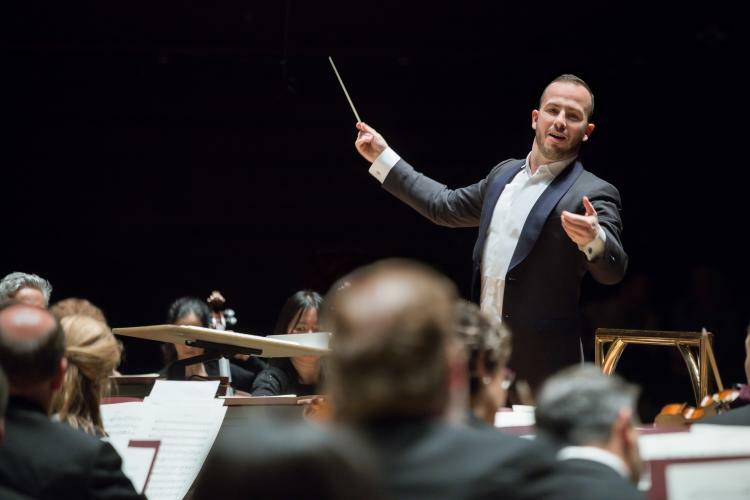 The Philadelphia Orchestra’s season features two weeks with Music Director Yannick Nézet-Séguin; three new Thursday matinees – including an afternoon of “Symphonic Shakespeare”; and a new “Cinema Saturdays @ SPAC” series that will delight audiences of all ages as the Orchestra accompanies two blockbuster movies: Star Wars, Episode IV: A New Hope in Concert and Harry Potter and the Sorcerer’s Stone™ in Concert; and a finale featuring the 20th Anniversary of the film The Red Violin. In case you haven’t already attended Freihofer’s Saratoga Jazz Festival, we’ve got another reason for you to stop by. 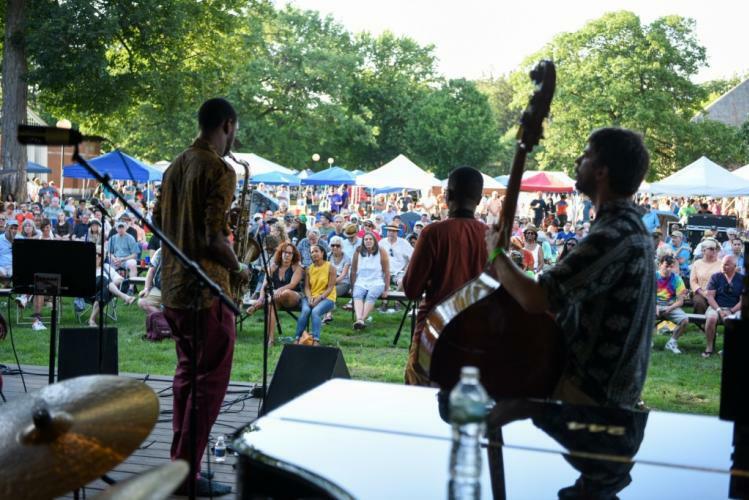 SPAC, in partnership with Saratoga County Chamber of Commerce, introduced Freihofer’s Jazz Fest Friday 2018 slated for June 22 as a kick-off to the Jazz Festival weekend. The event features scores of live jazz events, themed dining, and social dance options. Get your flapper gear ready for the event and stop by the Canfield Casino for A Night on Bourbon Street with headliner Bria Skonberg. See more information and participating businesses here. Foodies rejoice! The 2018 Saratoga Wine & Food Festival partnered with Colin Cowie Lifestyle and the Saratoga Automobile Museum to throw an enhanced weekend destination event. Celebrate the pleasures of the palate with more than 200 wines, live entertainment, celebrity chefs, innovative competitions, an exclusive new brunch with Colin Cowie, and more! If you don’t believe us when we say Saratoga is the cultural and performing arts hub of upstate New York—it’s time for a visit! Cover photo by Brand-News-Team Inc.